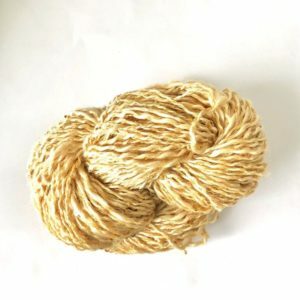 90gm of 100% hand spun. 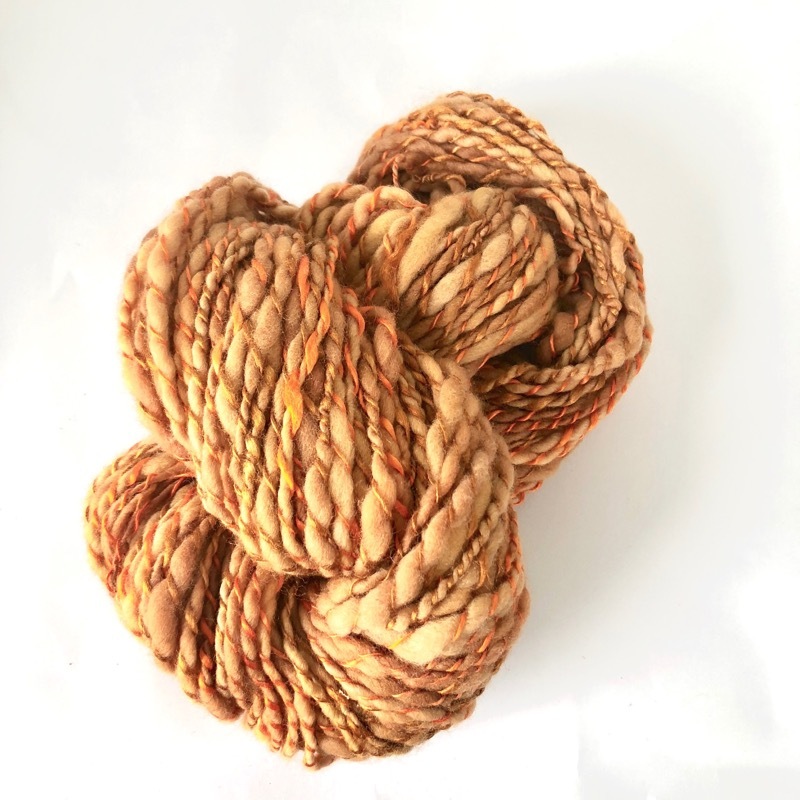 Spun in gorgeous vibrant orange and deep red in soft merino accompanied by fun, shimmering blues ,greens and red sparkly silk. I have spun this in thick and thin with a tight curl. 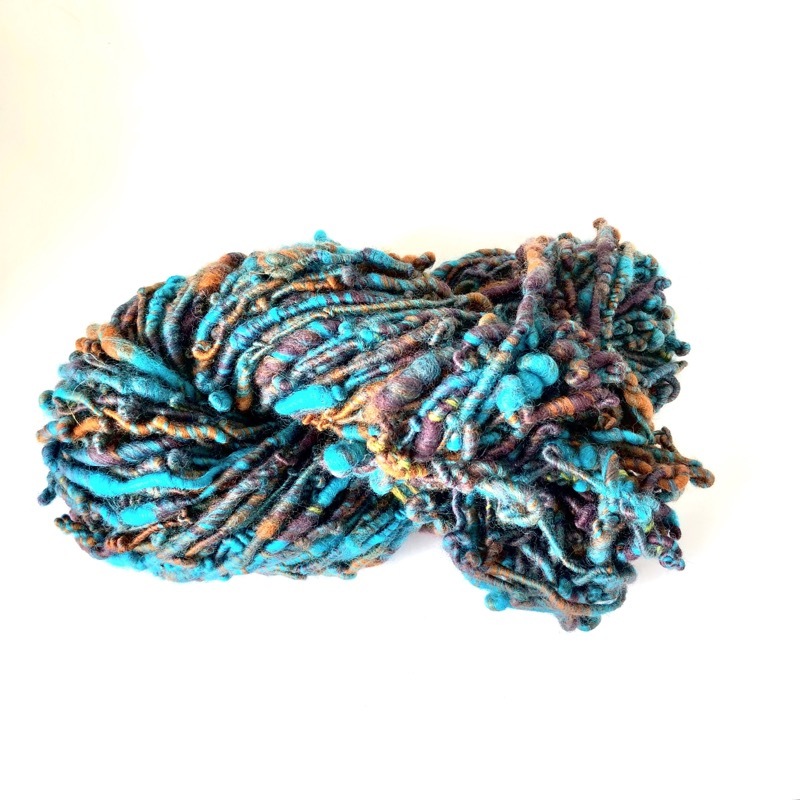 All hand spun has been created and spun by Tracey Lee. This is an original ,a one off and will not be repeated. 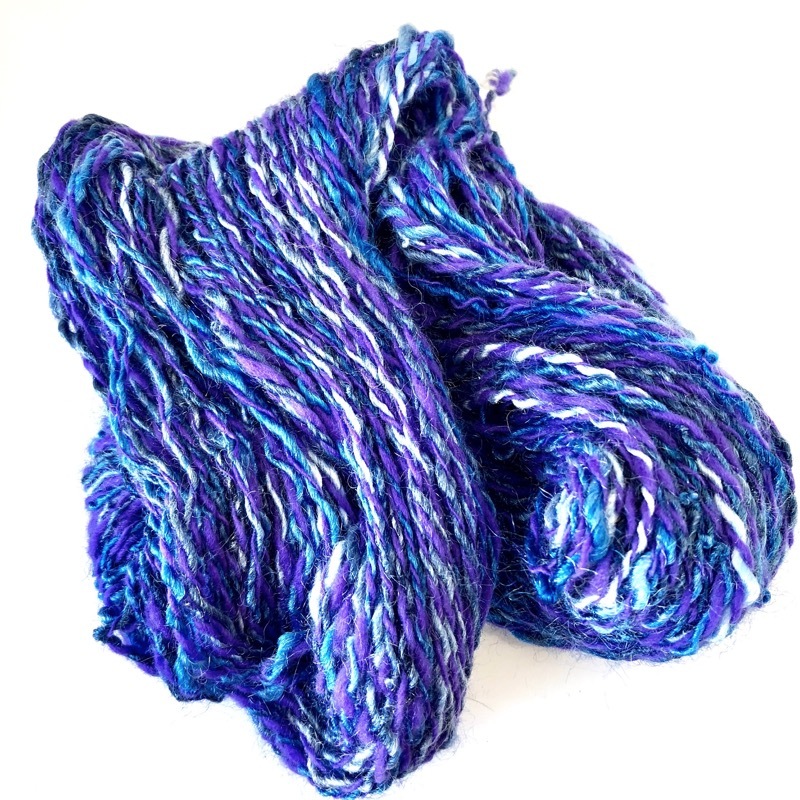 90gm of 100% hand spun. 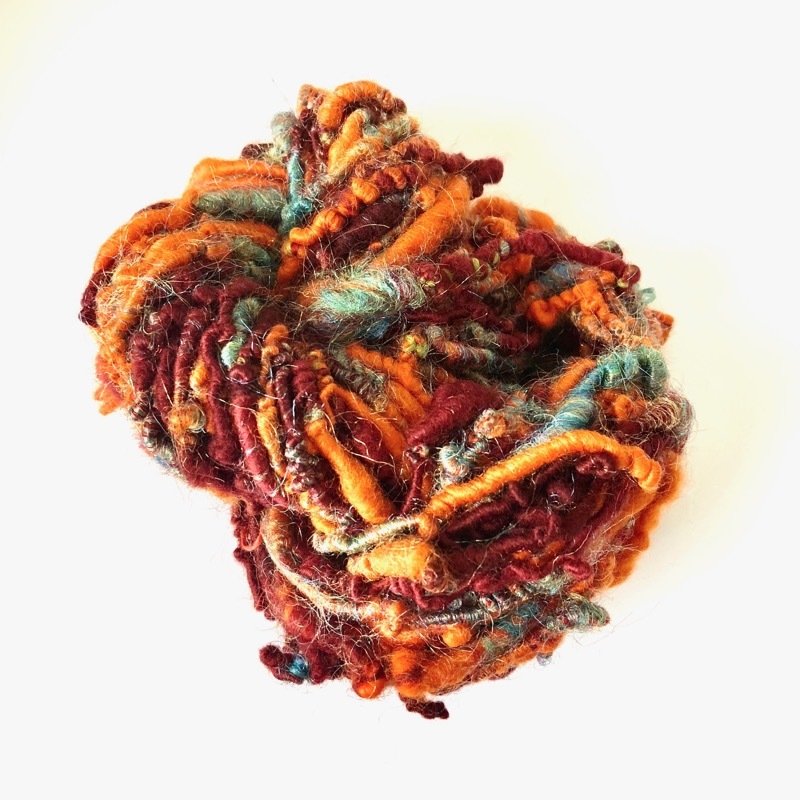 Spun in gorgeous vibrant orange and deep red in soft merino accompanied by fun, shimmering blues ,greens and red sparkly silk. I have spun this in thick and thin with a tight curl. Its so much fun. It even looks great just wearing the skein as a necklace. Even though the colours are bright, the deep red gives it a warm feel as well. So very pretty and fun.